Blue prescription 3D glasses for RealD, MasterImage 3D, passive 3DTVs, Linear 3D and/or Sunglasses. 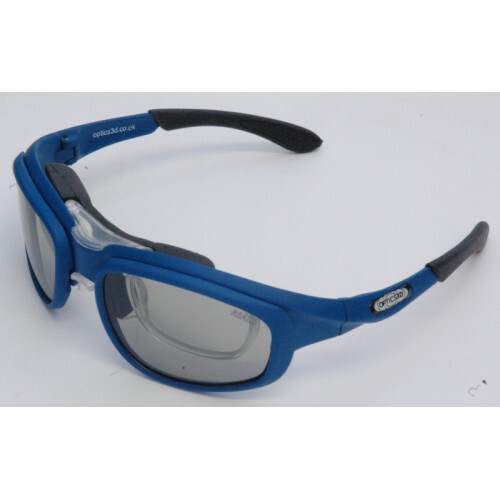 They all feature tough rigid polarisers and come complete with an Rx Insert, a choice of glass cases and a microfibre lens cleaning cloth. These glasses are also available from Amazon.co.uk.